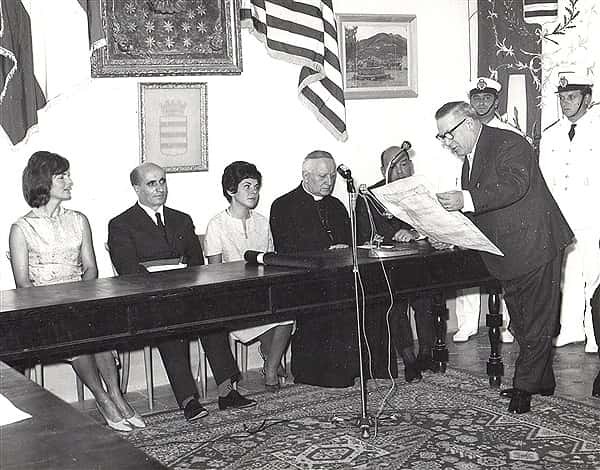 It was the legendary summer of 1962 when Jacqueline Kennedy, US's first lady, chose Ravello for her Italian holiday, wisely recommended by the American writer and distant relative, Gore Vidal. She stayed for three weeks, from the 8th to 31st of August in "Palazzo Episcopio", an ancient bulding owned by the Dukes of Sangro and former residence of King Vittorio Emanuele III. Jackie arrived in a radiant Ravello accepted by the band and the cheering crowd, just three days after the suspicious death of Marilyn Monroe and lived here untill August 31st, with her son John John and her daughter Caroline, one sister, the brother in law and a cortege composed by the nurse, a secretary and policemens from the security service. In Ravello, she received the honorary citizenship by the Mayor Lorenzo Mansi together with a dedicated folk dances show, held by children and young people of Ravello. 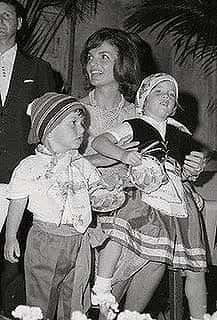 On that occasion, the pretty little Caroline and John John wore the typical "Tarantella" clothing too. During that three weeks, the Kennedys were cuddled by the ruler of Villa Episcopio, Mrs. Flora Mansi and her daughters, Margherita and Maria. During the day, they preferred to go to sea in Conca de' Marini, at the residence of the D'Urso, an italian family linked to the Agnelli. 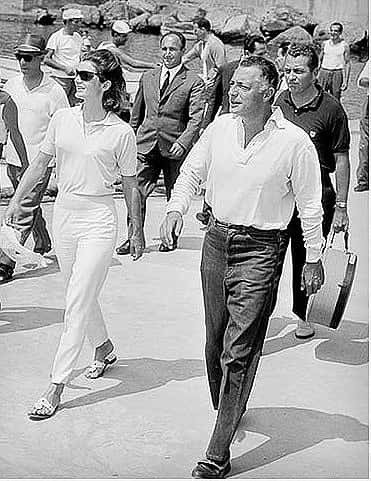 It was on that occasion, that the first meeting between Gianni Agnelli and the America's first lady, took place. He was at Jacqueline's complete disposal and accompanied her around all the Amalfi Coast. 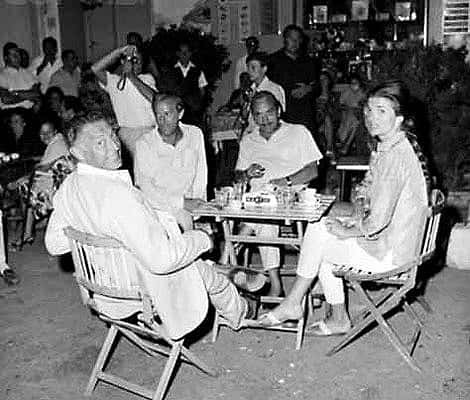 During their outings, they were often immortalized together; he in his impeccable allure, she totally invested by the Dolce Vita sharm. 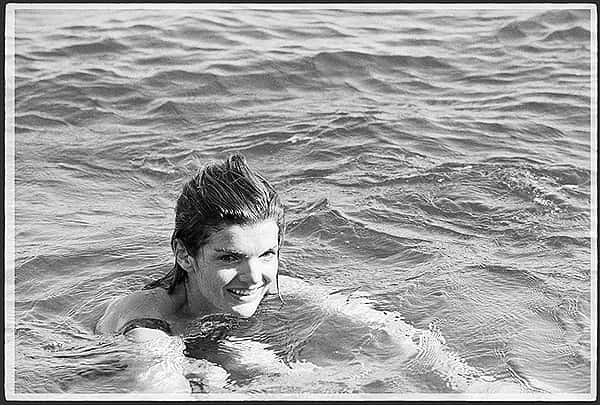 Jakie was thirty and beautiful. Every morning, she took the convertible Fiat 600 and went to Conca dei Marini for water-skiing, her favorite sport. 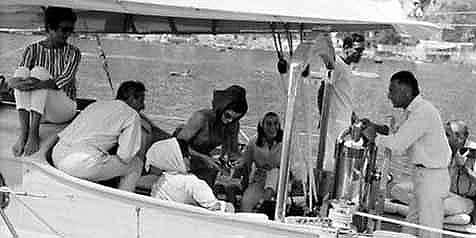 On board of the legendary "Veliero Blu", moored at the docks of Amalfi or while sitting at San Domingo bar in Piazza Duomo, she was always escorted by Gianni Agnelli. The news of his continuous visits spread around the world and the American press emphasized the idea of a love story, pouring rivers of ink on the gossip pages. These were the ingredients for the scoop: the allure of both the characters, the beauty of the setting that hosted them, the taste of the summer in Ravello, glamorous and happy in those years, the glances and smiles captured by the indiscrete eye of the photographers, ecc. The lawyer often spent the night at Villa Episcopio, where he had a room for himself. And when the news came across the world, the American journalist Edward Klein was the first to make the announcement that Agnelli and Kennedy had fallen in love. The two ended in the eye of the paparazzi, who snapped a picture after another increasing the reporters' fantasies. 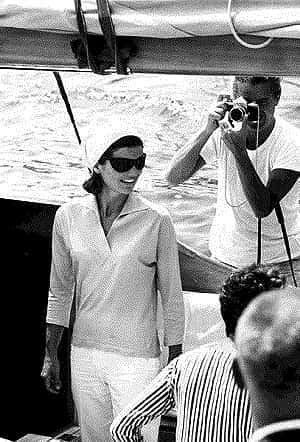 In such a climate, her husband, the U.S. president, John Kennedy, could not stay for long without knowing. And when this story went beyond the limit of his patience, he ordered his wife to return home, "Caroline More, less Gianni", reported his brief but eloquent message to Jackie. In this way ended the first Italian trip of the first lady and with it one of the love story that excited for years the curious from all around the world. 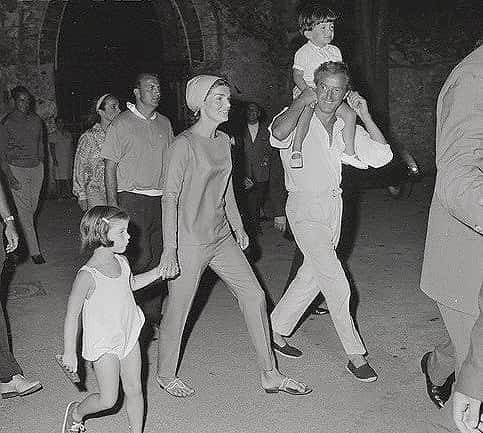 For years this story was pure rumor, until the American writer Gore Vidal in 2005, about to leave permanently Ravello, told us that there was really something more than a flirtation between Gianni Agnelli and Jacqueline Kennedy. While the First Lady returned to America, just over a year after she saw her husband die and never returned to Ravello, the lawyer continued to be a guest on the Coast for his entire life. The last visit was in 2001, when he came from Amalfi, with his wife Marella and a young John Elkann. A short visit, but long enough to enjoy again the beauty and uniqueness of the place, but above all to review, without knowing it would be the last time, the place so dear to him, magnificent scenary of indelible memories.